The first book to study the revival of cottage crafts that accompanied the growing interest in an arts and crafts movement in Britain and Ireland. Concentrates upon three regional craft associations, organised, sponsored and promoted by British women . Focuses on tactics and strategies rather than overwhelming production details; contrasts between urban and rural worlds and on the gender politics of the various philanthropic organisations discussed. This is the first book to study the revival of cottage crafts that accompanied the growing interest in an arts and crafts movement in Britain and Ireland. It focuses upon three regional craft associations, organised, sponsored and promoted by British women: the Donegal Industrial Fund (founded 1883 by Londoner Alice Rowland Hart); the Irish Industries Association (founded 1886 by Ishbel, Countess of Aberdeen and supported by a number of Irish and British aristocrats); and Highland Home Industries (revived in 1886 by the Marchioness of Stafford, later Millicent, Duchess of Sutherland). The three examples have been selected because although like many of their counterparts, the patrons endorsed a relationship between work and morality, they also recognised the significance of consumption and market. Their patrons understood the value of spectacle, the usefulness of advertising and the efficacy of exhibition. The emphasis is upon how and why they adopted these strategies to promote and sell cottage crafts for the benefit of rural workers. 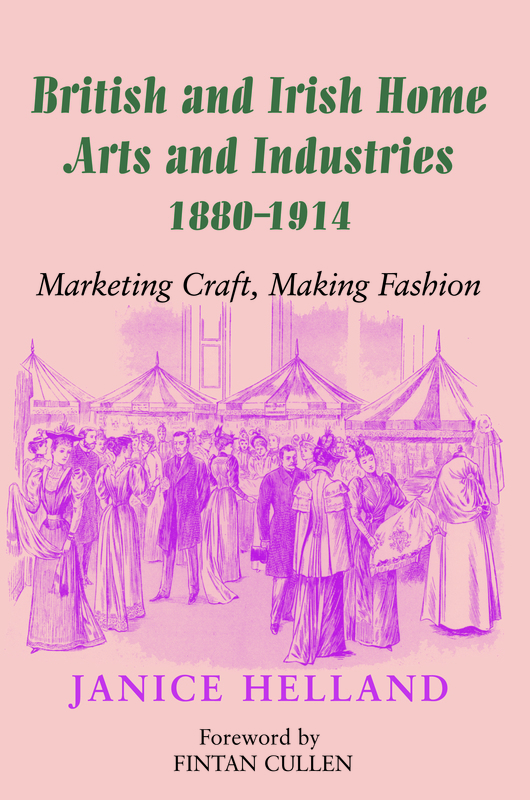 The introduction provides an overview of home arts and industries in Britain as part of the late-nineteenth century craft revival and examines the difference between the large English-based Home Arts and Industries Association and other home arts organisations in England, Scotland, Wales and Ireland.